What Can I Eat with Braces This Halloween? 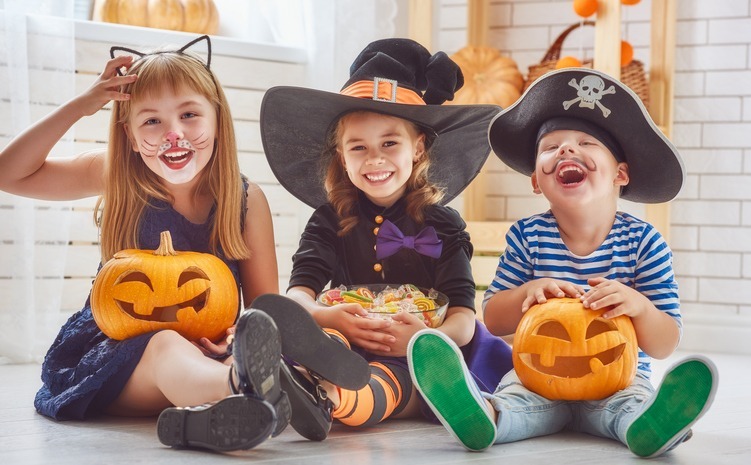 Halloween is just around the corner, and we know that means kids everywhere are getting excited to spend a night dressed up as scary monsters, patrol their neighborhoods, and – of course – gorge themselves on mounds of candy. But while all that candy may be a dream come true for a child, it’s a true nightmare for teeth. The sugars and acids in candy can rot away enamel, and because many candies are hard, sticky, gooey, and crunchy, they pose a mortal risk for braces. As your dedicated Medford & Moorestown orthodontist, we at Euksuzian Orthodontics wanted to give some guidance on the best candies to protect braces this Halloween. Another thing to keep in mind is that while sugar presents a less immediate threat, it still can cause tooth decay and derail treatment. For this reason, candies that contain xylitol – a sugar substitute – will be less damaging than candies containing pure sugar. With a careful eye towards dietary health, you can easily protect braces this Halloween without ruining the fun. We hope you found this guide helpful, and as always, we’re here for you if you have any questions. Feel free to contact us if you’d like more information about keeping braces safe this Halloween, and don’t hesitate to schedule an appointment at one of our offices if you want a post-candy checkup. Until then, we wish you a happy, braces-friendly Halloween! AcceleDent® Optima™ is an exciting new orthodontic device that accelerates orthodontic treatment by speeding up the movement of teeth. With Bluetooth capabilities and a comprehensive suite of technology driven features, AcceleDent Optima has been clinically proven to speed up tooth movement by up to 50%, cutting up to 9 months or more off of your orthodontic treatment! Using its patented SoftPulse technology, AcceleDent Optima delivers small, gentle micropulses that stimulate teeth, allowing them to move to new positions more quickly. The device requires just 20 minutes of use per day, is completely pain-free, and is hands-free to use – so you’re free to surf the web or read while you use it. Faster Orthodontic Treatment: AcceleDent Optima speeds up tooth movement by up to 50%, helping to cut your treatment time nearly in half. Additionally, accelerated orthodontics often requires less visits to your orthodontist’s office! Works with Any Form of Treatment: Whether you’re getting traditional metal braces, Invisalign, lingual braces, or any other orthodontic treatment we offer, AcceleDent Optima can help you achieve a new smile faster. Perfect for Weddings & Other Occasions: AcceleDent Optima is ideal for those trying to get a better smile for a wedding or other major life event! Quick & Easy to Use: You only need to use AcceleDent Optima for 20 minutes a day, and it’s a completely hands-free device. Other Health Benefits: Accelerating the orthodontic treatment process can also reduce other oral health issues by decreasing the risk of white spots, cavities and gum inflammation. AcceleDent Optima is an excellent way to make orthodontic treatment even more convenient, helping you achieve a new smile faster than ever before. If you’re interested in learning more about AcceleDent Optima or how orthodontic treatment can help improve your smile, we’re always happy to answer your questions. Feel free to reach out to us at our contact page if you have any questions about AcceleDent Optima or our practice, or if you’d like to get started and schedule a consultation, just request one using our easy online form! We look forward to helping you achieve a gorgeous new smile quickly, easily, and conveniently with AcceleDent Optima. NJ, we accomplish this through a wide range of advanced orthodontic treatments. We understand that every patient has different needs, which is why we supply each one with the orthodontic treatment that’s perfect for them and their lifestyle. Two of our most popular treatments are braces and Invisalign. Allow us to take the opportunity to explain why each one may be the right choice for you. Braces offer a proven and effective treatment method that’s been time-tested. There are many different types of braces to choose from, some of which offer a more discreet form of orthodontic treatment. They are cemented onto your teeth, meaning that you never have to worry about losing them or remembering to wear them. Braces are good for more complicated orthodontic treatment problems. They’re a less expensive treatment option. The aligners used in Invisalign are clear and transparent, meaning that your orthodontic treatment will be virtually invisible. The aligners are removable, meaning that you can brush and floss normally. In addition, you don’t have to avoid any foods because you just take out the aligners before you eat. The plastic in Invisalign allows for a more comfortable treatment process. Each form of orthodontic treatments has its clear advantages, so there’s no definitive answer to this question. It depends entirely on a patient’s wants and needs as to which treatment would be best for him or her. We encourage you to stop by sometime for a consultation so we can decide which one would be perfect for you. Contact Euksuzian Orthodontics, A Premier Orthodontic Practice! If you still have questions about braces and Invisalign, we encourage you to contact either of our offices during our normal business hours. You can reach our Medford office at (609) 654-0600 and our Moorestown office at (856) 234-2992. We’re also happy to schedule a free, no-obligation consultation appointment for you. We can’t wait to help you achieve a straighter and healthier smile! At Euksuzian Orthodontics, we’ve helped patients ranging from busy adult professionals to young children achieve a gorgeous new smile through orthodontic treatment. As a premier orthodontist serving patients in the Medford and Moorestown areas, we make early orthodontic treatment a fun and enjoyable process for kids. Here are just a few of the reasons that parents trust us and kids love us here at Euksuzian Orthodontics. Dr. Sarkis Euksuzian and his staff believe that hard work should be rewarded. Our Smiles Rewards Program is a fun way for us to give back to our patients who have taken care of their teeth and reached certain milestones in treatment. 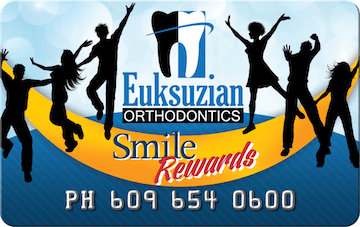 Through the Smile Rewards Program, patients can earn points whenever they visit our orthodontic office. Points are awarded for patient actions such as having excellent oral hygiene, referring a friend, brushing their teeth after signing into an appointment, liking our practice’s Facebook page, and more. As a patient accumulates more points, they have the opportunity to redeem their points for gift cards from several stores of their choosing. To learn more about our Smiles Rewards Program, we encourage you to visit the Rewards Hub online or on our brand new Patient Rewards Hub app (available in the App Store and on Google Play). Our office is proud to treat students from most of the local schools in Medford, Moorestown, and the surrounding communities. Many of our young patients are friends with one another, and they love visiting our office together. If your child’s friends are receiving orthodontic treatment from us as well, there’s opportunity for your child to carpool to their next appointment. And if your child has friends who need orthodontic treatment, you can always refer a friend and earn more points through our Smiles Rewards Program! Next time you’re in our office, check out our photo booth! While you’re waiting for your child’s appointment to start, you can take some photos together to take home when you’re finished at our office. And who knows? Your photo might even be featured on our Facebook page! If you have more questions about our practice or you’d like to schedule a consultation with us, feel free to reach out to us at our contact page or request an appointment online at our Medford or Moorestown office. We’re looking forward meeting both of you and giving your child the gift of a lifelong beautiful smile! At Euksuzian Orthodontics, we’re passionate about helping our patients achieve beautiful, healthy smiles – but the reasons for that extend far beyond aesthetics. While a beautiful smile is important for aesthetics and psychological benefits like improving confidence and self-esteem, there are a variety of other benefits that come with a straight smile, and one of those is improved overall health. Having straighter teeth helps to ward off problems in oral health as well as prevent some overall health problems, helping to create a healthier you in the long-term. At the most basic level, straighter teeth are healthier to keep clean. This is because crooked, crowded teeth create tight nooks and crannies that are difficult to clean with a toothbrush and floss, offering the perfect spot for bacteria to grow and multiply. These bacteria can eventually lead to dental decay, cavities, and gum disease – all of which can cause major problems in the health of your mouth. If you have any questions about oral health, please don’t hesitate to reach out! You can call us at (609) 654-0600 for our Medford office or (856) 234-2992 for our Moorestown office with any questions, or feel free to reach out to us at our contact page to schedule an appointment with us. We can’t wait to hear from you, and we hope to see you back at this blog for more information on oral and orthodontic health! 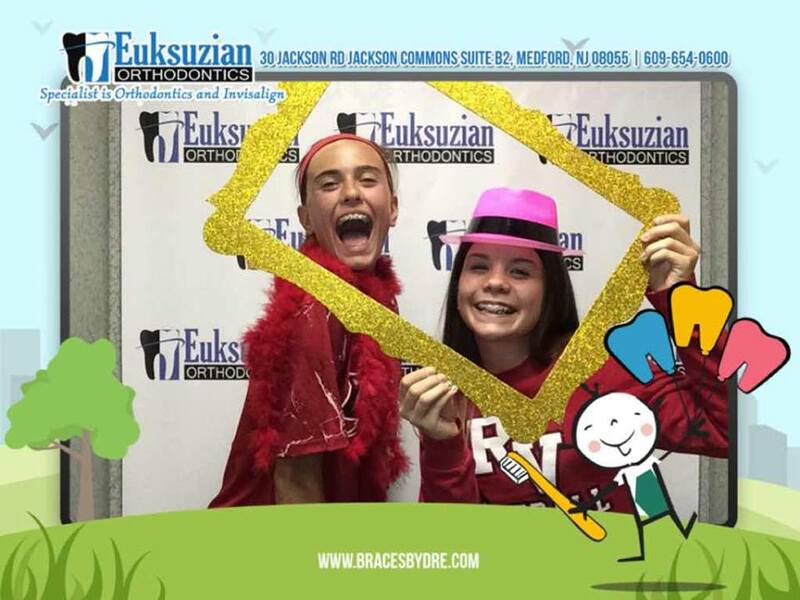 Thank you for stopping by Euksuzian Orthodontics, your favorite New Jersey orthodontist! We have offices in both Medford and Moorestown, NJ, and are happy to work with different people in communities all around the area. Dr. Euksuzian and his staff are highly trained and love the work they do. It is our goal to serve our patients both in and out of the office, and one way for us to do this is through our blogs. We are excited to start the new year off with a bang and to get back into the routine of delivering interesting orthodontic news and reminders via our online blogs! We use this space to deliver relevant information and news to our beloved patients, whether it be tips for braces-friendly recipes for the holidays or news on the latest advancements in orthodontic technology. Through our blogs, we can engage with our patients on a digital platform and offer information that you are interested in hearing! We encourage you to let us know what topics you are interested in so that we can use these blogs to cater to your interests and answer any questions you may have. You may contact us by calling our Medford office at (609) 654-0600 or our Moorestown office at (856) 234-2992 at any time. We look forward getting the ball rolling! The team at Euksuzian Orthodontics strives to make your experience wearing braces as enjoyable and comfortable as possible! 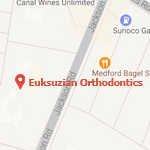 Our Medford and Moorestown, NJ orthodontist, Dr. Sarkis Euksuzian, specializes in gentle and comfortable orthodontic care to make wearing braces a positive experience. 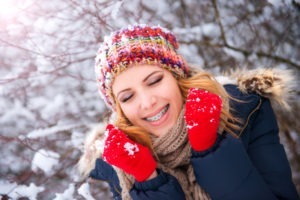 Here are some tips for getting the most out of your braces to help ensure the time you spend in treatment is positive and enjoyable. When you had your braces placed on your teeth, we told you how important it is to avoid eating foods that can damage or break your braces. You should steer clear of hard, crunchy, gooey and sticky foods. Regardless of how tempting that sticky candy bar or hard crusted bread may be, refrain from eating these types of foods that can harm your braces. If you do end up breaking your braces due to something you ate that you shouldn’t have, it could extend the time you spend in braces, which is something neither you nor your orthodontist wants! To ensure that you don’t develop tooth decay or gum disease while wearing braces, be sure to brush and floss your teeth very well. Food particles and plaque can easily hide and build up in all the nooks and crannies around your braces. You should brush your teeth four times per day and floss at least once per day, preferably at bedtime. In addition to your regular toothbrush, we recommend using an Interdental toothbrush (Proxabrush) which is a small tool that makes getting between and around the brackets and wires easier. Your regularly scheduled adjustment appointments are very important as this is when we check your progress and make necessary adjustments to your braces. If you skip these appointments, it can slow down the treatment process and extend the time you spend wearing braces. Orthodontic treatment is a 2-way street so to speak as both you and your orthodontist have responsibilities to ensure you receive the optimal result which is a straight, healthy and beautiful smile! These tips are designed to help you make the most out of the time you spend in braces. It’s also important to get answers to any questions you have about your braces. We serve patients from throughout the greater South Jersey area including Mt. Laurel, Marlton, Mt. Holly, and the surrounding communities. Please don’t hesitate to contact us if you have any questions, as we’re always happy to talk with you! Those of you wearing braces may be wondering if you’ll be able to eat all of the delicious food on your table this Thanksgiving. After all, our Medford, Moorestown and Marlton orthodontist Dr. Sarkis Euksuzian has told you to avoid eating crunchy, hard, chewy and sticky foods because these types of foods can damage or break your braces. But the team at Euksuzian Orthodontics has good news for you! Even though you must avoid foods that can harm your braces, there are still many foods you can enjoy! Here are a couple braces-friendly recipes to try for Thanksgiving that you and even your family and friends not wearing braces will love. This casserole full of creamy chicken and broccoli won’t bust your braces and it’s perfect for the Thanksgiving holiday. Plus, it’s a breeze to put together, which means you won’t spend too much time in the kitchen. Preheat oven to 400 degrees F. In a large bowl, mix the cream cheese spread, 2 tablespoons milk and the garlic powder until blended. Add the chicken, broccoli, cheddar cheese and rest of the milk and mix. Put the mixture into a large baking dish sprayed with cooking spray. Bake for 25 minutes or until lightly browned. These pumpkin bars can be enjoyed while everyone else is eating sticky pecan pie and other chewy desserts you must avoid. Preheat oven to 350 degrees F. In large bowl, mix together eggs, sugar, oil and pumpkin until well blended. In another bowl, combine flour, baking powder, baking soda, cinnamon, pumpkin pie spice and salt. Stir the pumpkin mixture into the dry ingredients and mix well. Put the batter in a 10 x 15 ungreased baking pan and bake for about ½ hour or until done. Allow to cool. To make the frosting, combine all the frosting ingredients together in large bowl and blend together well. Frost the pumpkin bars when completely cool and cut into squares and serve. We hope you enjoy these braces-friendly recipes! Dr. Sarkis Euksuzian and his staff would like to wish everyone a safe and happy Thanksgiving holiday! When Can I Get My Braces Off? Our Medford and Moorestown, NJ orthodontist Dr. Sarkis Euksuzian is routinely asked by his patients how long they can expect to wear braces. The answer to this question is that treatment time really depends on each individual’s specific orthodontic problem being addressed. Generally speaking, treatment times can range from 12 to 30 months with the average time spent in braces being approximately 24 months. The main factor in determining how long treatment will take is the degree of severity of the oral problem(s) being treated. Treatment time may be longer when teeth are impacted or when the upper and lower jaws fail to develop at the same time. Obviously, the amount of correction a patient needs determines how long braces must be worn. In short, the more teeth need to be moved, the longer treatment takes. In most cases, children and teenagers respond faster to orthodontic treatment because they are still growing. Adults on the other hand often have to wear braces longer. 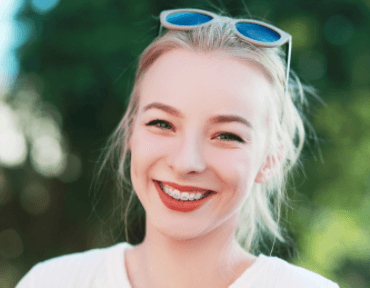 The specific type of orthodontic appliances being worn also influences the length of treatment as some types of braces provide faster results than others. Another factor that helps determine how long a patient must wear braces is how well the patient maintains good oral hygiene. If the patient does a good job of brushing and flossing their teeth while in treatment and sees their family dentist regularly, treatment will move along as planned. But if a patient does not brush or floss well and develops dental decay or gum disease, treatment time can take longer as the tooth decay and gum disease will need to be treated. Since every patient is unique, it is important to talk to Dr. Sarkis Euksuzian regarding the estimated time you can expect to wear braces. We are always available to speak with you! If you have any questions about orthodontic treatment, please call us at one of our offices or contact us online. We are conveniently located in Medford and Moorestown, NJ and serve patients from throughout the greater South Jersey area including Mt. Laurel, Marlton, Mt. Holly, and Voorhees, NJ. 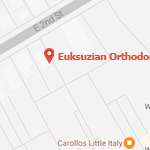 At Euksuzian Orthodontics, our number one goal is helping you achieve the beautiful, healthy smile you deserve, and we believe that one of the best ways to achieve that goal is through patient education. As important as the high quality orthodontic care that we provide is, the reality is that your oral hygiene routine is just as critical to your orthodontic success. 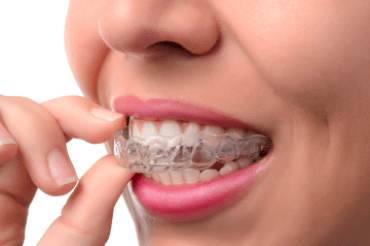 That’s why for this blog, we’re going to give you a crash course in retainers: what they do, why they’re important, and what you can do to take care of them and keep them working their best. We know how excited you’ll be once we remove your braces, but keep in mind that your treatment isn’t over yet: now begins the retention phase. In this phase of treatment, we’ll fit you with a retainer. This is oral appliance designed to keep your teeth in their new, ideal positions. The retention phase lasts a minimum of 24 months, and we’ll give you detailed instructions on how many hours a day to wear it. What many patients don’t realize is that retention is one of the most critical parts of their treatment. Although your teeth will be in new positions after you finish with your braces, the bones and tissues of your jaw haven’t yet set into place – this means that without a retainer, your teeth will just move back to their original positions, erasing all your hard work! That’s why it’s so important to wear your retainer for the recommended amount of time each day, keeping it clean for optimal performance. To clean your retainer, make sure you brush it with toothpaste regularly – at least every time you take it out and put it back in. Every once in a while, you may want to drop it into a glass with a denture tablet to give it a more thorough cleaning. When you’re not wearing it, make sure to keep it in its case to protect it from damage or loss. If you’re worried about the status of your retainer, you can always come see us for to have it checked out. Following these steps will keep your retainer clean and working correctly, helping to safeguard your new smile! Have more questions about retention or your orthodontic health in general? We’re always here to help! Feel free to reach out to us at our contact page or use our easy online form to schedule an appointment at our Medford or Moorestown, NJ office. We also serve patients from Marlton, Mt. Laurel, and Mt. Holly, NJ. We can’t wait to hear from you, and we look forward to seeing you back at this blog for more tips and info on caring for a beautiful, healthy smile!